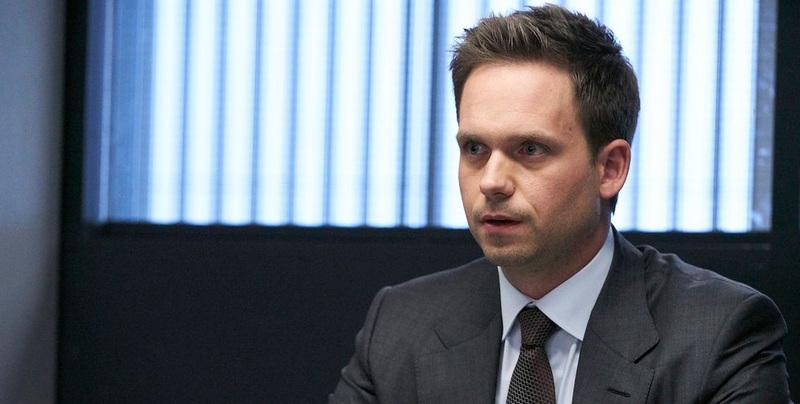 In today’s edition of our TV Heroes series, we’re taking a deep-dive on the subject of Suits. More than just that, we are offering up as much praise as positive for Mike Ross and what has been a pretty wonderful journey. In some ways, it may seem slightly counter-intuitive to celebrate a character as a hero when he is the only main character to undergo a stint behind bard in prison. Yet, when you know the character of Mike and the path that he has been on over time, it makes a surprisingly high degree of sense. Mike is the man who has been through the most turmoil, but he also seems to be striving now to do the most good. From the very beginning, Mike’s career was all about finding ways to help — he just didn’t choose to go about it in the most legal, ethical way possible. He had all of the skills necessary to be one of the best lawyers under the sun without any of the actual accreditation. He proved himself over time as a brilliant legal mind, and more than that, a valuable friend and ally for some of his colleagues. He would fight for them, while also of course fighting for himself and his own career. He was more willing at times to follow the letter of the law than anyone — it was even him who was ready to turn himself in to Anita Gibbs before anyone else was. He understood that he was probably nearing the end of his battle and would be better served for just accepting that as opposed to having other people caught in the process. Even if you were to label Mike as an ambiguous hero at some other times during his journey on the show, we feel fairly definitively that he is now. He’s striving to spend more time with the clinic than he is at Specter Litt, and he understands after looking at the law through the lens of excess and wealth that little of this matters. He’s been in the place before where he is lost and helpless and wants to do everything within his power to help those who are wrestling with the same emotions. It’s a noble pursuit, and it’s one worth sacrificing money and time in order to do. Mike has flaws, but he recognizes them. He’s trying to be the best lawyer, the best fiancé, and the best friend that he can. What we know about Patrick J. Adams the performer is that he’s down his own absolute best to bring heart, determination, passion, and at times suffering to this character. You understand him in his darkest and finest hours; through it all, you want nothing more than to root for him. Lawyers on television are not always inherently likable, but there is something about Mike that makes him one of the genre’s best underdog stories. Related – Check out some more news regarding the next new episode! What do you think makes Mike Ross especially heroic now on Suits?